I’m working on a western historical mini-series with Paige Warren called The Murphys. The first book, Ellie’s Cowboy, is scheduled for an August release. There will be a total of four books in the series, set in the 1880’s in Texas. This is something a little different for me and I’m excited to try something new. Here’s a little about Ellie’s cowboy…. It’s the 1880′s in Texas and Ellie has run away from her family and an unwanted marriage. Nearly blind, she knows that she’s no bargain. But if she can find work and make a way for herself in the wild lands of Texas, then maybe she’ll be all right. What she didn’t count on was Tucker Murphy. Ellie always knew she had a lot of love to give. 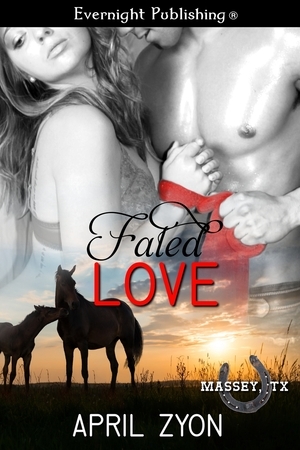 She just never thought she’d find her very own cowboy. Tuck is the local Sheriff in Blue Springs, and also her hero. After rescuing her from an attack her first day in town, he takes her to his home to care for her. Ellie is unlike any woman he’s ever met before, and Tuck finds himself drawn to her. When he hears of her troubles, he thinks he just may have a solution that will suit the both of them. While circumstances may bring them together, only love will make it last.